I could probably count to a hundred, but if you’d asked me, I would’ve told you there were a million of them. Under the mattress, like spilled oil on the plywood frame, swam a giant inkblot of carpenter ants. Each of the million little pieces moved independently but simultaneously as one. If anyone—if I!—had bedded down on the mattress after dark, he would have become part of the black mass. It remains today one of the most frightening living things I’ve ever seen. 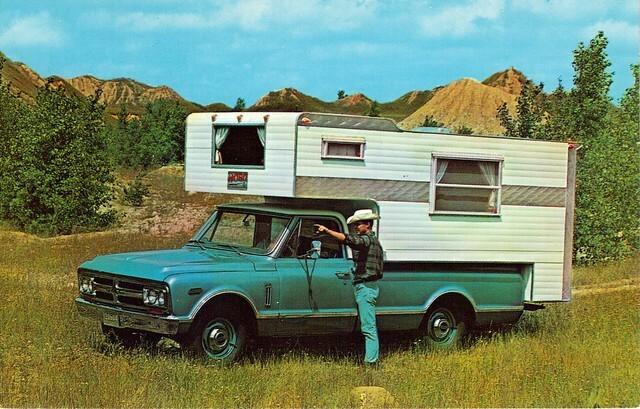 It happened inside my grandpa’s camper, one of those antiquated feats of backwoods engineering that slid into the back of a pick-up truck. The sleeping quarters were above the cab of the vehicle. It’s where the ants found a home that summer at the lake in southwest Missouri. It was where we were supposed to sleep, and the ants had taken it over. In a few weeks, I’d start third grade in Mrs. Parker’s class at Hilldale Elementary School. That year, I decided I wanted to be a writer, and The Ants was the first story I ever wrote. Looking back tonight, I wonder what would have happened if we hadn’t pulled up the mattress. I wonder if one of us would have woken up covered in that black mass. Or maybe, we wouldn’t have ever seen them at all, and I wouldn’t have written The Ants. I guess what I’m saying is, I wonder if I hadn’t written The Ants that autumn if I’d be sitting here writing tonight. I wonder if I’d have ever considered that I wanted to write for the rest of my life. Some people talk about the butterfly effect, but for me, it’s all about the ants. A few nights ago, I walked in on my son. 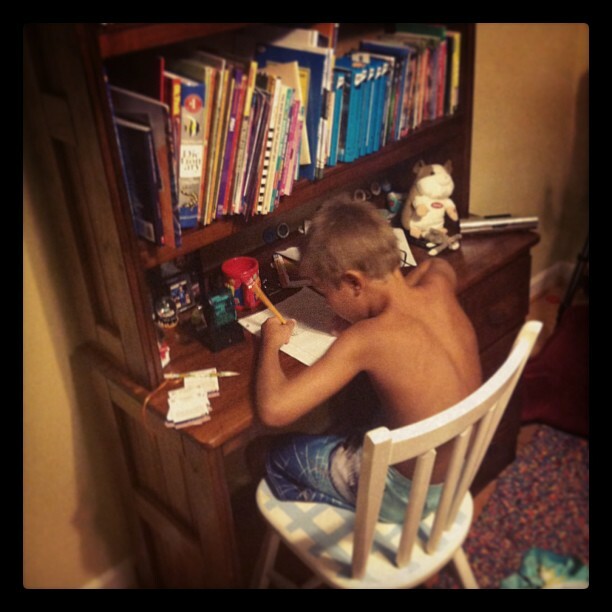 He sat shirtless in his bedroom, hunched over his new desk. He’s in the summer before his third grade year, and his brain is alive with more stories than I’ll ever conceive. 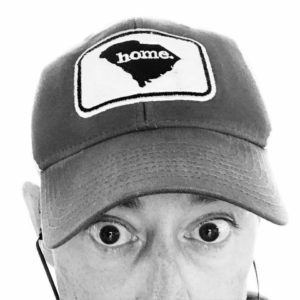 His story was about Upstate South Carolina’s mill workers and a battle for land and existence against the ghosts of Union and Confederate soldiers. He knows his Civil War history, so the way he bent the story—Union and Confederate men as the combined enemy of working-class civilians—intrigued me and made me proud, even if it was an idle conflation. I watched him for a few minutes, snapped the picture, and then walked out of his room terrified that my son—an athletic, problem-solving, critical thinker—would decide some day soon that he wants to spend the rest of his life as a writer. A few months back, my friend Rick introduced me to Scroobius Pip. That line is from a section of his song titled “Let’em Come.” Last April, I was in the middle of the Cooper River Bridge Run when the song came on, and that line hit me like a ton of bricks. It’s a scorching indictment that cuts deep into the writing culture, and I spent more than a few weeks reeling from it. I found myself in a period that was less introspection than it was a full-on self interrogation. People ask me what I do all the time, and my answer is different more often than it’s the same. Sometimes I say I’m in poker. Sometimes I say I’m in marketing. Sometimes I say I’m in content management. Sometimes I say I’m a consultant. About every hundredth time, I say, “I’m a writer.” It’s never comfortable. Every once in a while, you see me write here about Wil Wheaton, a man who has shown me many kindnesses over the past eight years, not the least of which was recommending me for a gig that ended up changing the course of my life. This is a story I’ve told before, but it bears re-telling here. One of the best—or maybe the worst—was a night he took me out to dinner with his family to a Hibachi joint. One of the people asked Wil what he did, and Wil answered. “ I’m a writer.” The guy asked me, and I fell into a familiar stuttering pattern of trying to explain myself. Wil cut me off and said, “He’s a writer, too.” I won’t ever be able to thank him enough for that two-second kindness. But, since I heard that Scroobius Pip line, I’ve wondered a lot about that night with Wil and whether I was more into the idea of being a writer than I was actually writing. Because, evidence seems to point to it being true. At least, the evidence I see. I have established a sick standard for success that I’ve not even come close to meeting, and so, not having met said standard, calling myself a writer seems…off somehow. Disingenuous at best. A lie at worst. I’m more likely to call myself a former reporter than I am to call myself a writer. And that’s a problem, too, because I’m inching up on the year in which I will have been out of traditional journalism as long as I was in it. I’m somehow stuck between what I was and what I want to be. It’s not the least bit comfortable having such an infirm grasp on one’s identity. One of the great coincidences of all this is that the first verse of “Let’em Come” actually name-checks Wil in a “Stand By Me” reference. Wil was in that movie nearly thirty years ago. It has very little to do with his current identity. The last thing I published here was in April, and I was proud of it. You all shared it far and wide, and I took a lot of pride in that. And so, dormancy. Long, tepid dormancy. It’s not because I haven’t had anything to say. It’s that I’ve thought I haven’t had anything worth saying. Scroobius Pip, though. He’s a writer. And he’s a rapper. Funny, that. Back in college, I had a long riff about hip-hop and how much of it was rappers rapping about how good they can rap. I’ve discovered in the years since that part of being a hack writer is writing about how hard it is for writers to write. And so then, this. A few of you have made it this far, and for that you deserve at least a hug. This is it. I wrote this tonight because I had no choice. The house was quiet. My family was at peace. Every distraction had silenced itself. And I had to write. That’s it. I don’t have any choice in the matter. It doesn’t matter whether we pulled up that mattress 30 years ago. It doesn’t matter that I have yet to achieve what I want to achieve. What matters is that along the way, there have been people who told me I was a writer even when I didn’t want to believe it. What matters is, I don’t have any choice. I’ve got to do this, or I go nuts. I’m lucky that I have a few people who will hang with me long enough to figure it all out. I don’t know what my kid will be when he grows up. There is a part of me that hopes he doesn’t become a writer, because the psychic torture involved in it is sometimes a little overwhelming. Whatever he decides, though, I know he’ll be amazing at it. His mind can conceive of Union and Confederate ghosts working together to beat down the working men of a mill village. That is a mind that can do anything. No, the question of the ants and their butterfly effect doesn’t matter. What matters is that, despite all my worries to the contrary, I actually love writing as much as I hate calling myself a writer. I’m glad you have to. There’s a fine line between humility and self-deprecation. Most of us would say that you err on the side of humility almost criminally. I’ve seen you stutter and mumble and answer the question “what do you do?” with way too much hesitation. Your friends all know that you’re a writer, it’s kind of time for you to allow yourself to not only admit it, but to do so with confidence. I think I can relate in a somewhat tangential way to the reluctance to show your true self to others, to elide that which makes us uncomfortable because we think it might make others uncomfortable. Still, I have only known you as a writer, and I always call you a writer when I mention you to my friends. You have a gift with language. It’s a shame if you feel like that gift is something to be kept out of polite conversation. I hate for this to sound like I’m some great literary critic, but I will say one thing about your blog/website. No matter how long you go between postings I still check it every single day hoping you’ve decided to grace us with another of your stories. Even introspective ones like this are so well crafted that I get to vividly experience your turmoil through the words you committed to virtual paper. 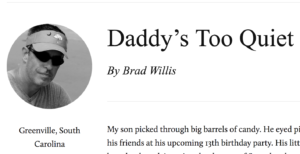 Very few blogs have moved me to tears over the years with a story. Yours has multiple times. Please continue to share your gift. I’ll keep checking in every day no matter how long it takes you to feel like you must post. As someone who is thinking more and more that his gifts lie in the world of writing I can say to you that I appreciated the depth of this article. To me it doesn’t matter that you felt the “need” to write this – to me all that matters is that you did. I check the website almost daily looking for updates because I like the subject matter. (I’m a father of 2 boys, 7 and 4) Please keep at it. You are indeed a writer and your words do reach people and inspire them – even when you think they might not. Nice. A new generation arrives. Your kid’s story topic is killer. Writers write. Good writers write well. 5 days of RSS backlog and I saved this post for last. So glad I decided to check out what you’ve been writing lately. This piece is timely for many right now. Nicely done, sir. Always worth reading Otis – keep going. You had me worried.